Adrienne Lellman has a wealth of knowledge in the Real Estate Industry with over 13 years experience at Harcourts Advantage Realty Ltd in Tauranga - where she has enjoyed a high success rate with Auction and Tender campaigns, as well as Exclusive property marketing. Adrienne’s strengths include excellent market knowledge and designing specific marketing strategies to suit her clients’ individual requirements. Adrienne strives to provide a high level of excellence in service for her clients. Her listening skills and understanding the needs of others makes her a first class negotiator and her discretion is unquestionable, a quality needed in a Real Estate Agent. While most of Adrienne’s business is repeat and referral business from past clientele and database, she always takes pleasure in meeting new customers. Please feel free to contact her! M: 0274 345834 B: 579 1214 E: adrienne.lellman@harcourts.co.nz Testimonials... "It was reassuring to have such a competent, experienced and professional agent working on my behalf while living abroad. Adrienne kept me updated with marketing reports, frequent emails and telephone conversations. Adrienne's level of service was fantastic. She went way over and beyond what was required in her role." - Kelly Larrett, UK. "Adrienne is very patient and was the first agent we met who actually listened to our requirements. She is also very strict in her dedication to her clients - this we found very impressive. It is the integrity she displays which gave us the confidence to proceed. She completed the purchase of our new home and the sale of our former home with ease and efficiency, making this 'stressful' experience a very happy time. We have no doubt that to recommend Adrienne to prospective clients is a win-win situation for everyone!" - Allan and Sheila Moore, Tauranga "We have known Adrienne as a competent, honest and friendly land agent. 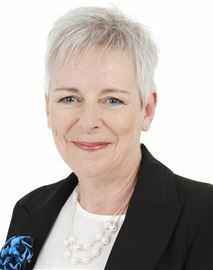 She has successfully sold two properties for us and was instrumental in the purchase of another two. All these transactions went smoothly and we feel it was due to Adrienne's business ability and hard work." - Alison and Doug McRae, Tauranga. Annabel believes that the key to good real estate sales is exceptional customer service, absolute transparency, professionalism and a listening ear. Through her own experiences of buying, selling, renovating and helping friends and family find a home, Annabel understands how emotional and frustrating the process can be. 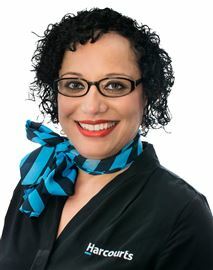 If you are looking for a sales consultant who is warm and engaging with a no nonsense attitude then you have found her. She is a person who acts on her word and works tirelessly for her clients. Annabel places a high value on personal integrity and this is something that she will not compromise on. Annabel brings a range of experience and skills to real estate from her prior working life, the majority of which has been spent in the not-for-profit sector raising money for causes that range from disadvantaged youth to environmental advocacy. No matter what the issue, she has always chosen to focus her energies on people and her motivation for real estate sales is no different – she wants to help people achieve their goals. Annabel knows the importance of building long-term relationships and will work with you through every step of your real estate journey whether that is buying your first home or selling your last. Originally from the UK, Annabel has previously lived and worked in Christchurch, Hamilton, Auckland and Mt Ruapehu. Now settled in Omokoroa with a young family she is enjoying getting involved with the local community and finding out what this fantastic region has to offer. When it comes to buying and selling Real Estate it is very important that you have the utmost faith and belief in the agent you choose to work with. Truth, Integrity, and Enthusiasm together with a desire to do the very best for all their clients are attributes that spring to mind with Ron and Pat. Ron came to Real Estate 19 years ago from an engineering and construction background working his way up to management level. During his time in Real estate he is a consistent high achiever which started in his first year in the industry being awarded Rooky of the year. His wife Pat has recently joined him following 35 years in the health sector where she worked one on one with clients listening to their needs and exercising her problem solving skills when needed. Her client satisfaction was second to none with a very large proportion of her clients coming back again and again to use her services or recommending her to family and friends. Together they have refurbished and built new houses and been involved in many different renovation projects which have given them experiences in life that sets them well for real estate. Living and working in Omokoroa gives Ron and Pat the local knowledge required to be your local Harcourt’s experts in Omokoroa, Te Puna, Bethlehem as well as all areas of Tauranga. Giving back to the local community gives a sense of belonging and this is the reason Ron joined the local volunteer Fire Service not long after he moved to Omokoroa. This service is something that is invaluable to the whole community and the surrounding area. If knowledge and experience are the power Ron and Pat are the team to talk to. Call us today for any real estate assistance you may require. Rural & Lifestyle Specialist Richard joined the real estate industry at the beginning of 2002. 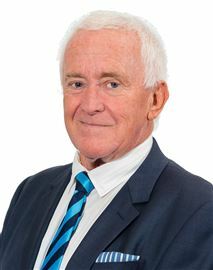 He is a local as he has lived in Tauranga most of his life and has an extensive knowledge of the wider rural community, together with a wealth of experience in all aspects of rural sales. Richard has a particular interest in the horticultural sector, having completed an Orchard cadetship after leaving school followed by owning a contracting business in the fruit packing industry. Further experience was gained farming in the UK and also completing a business diploma. Professional integrity and providing a high standard of personal service is always his prime focus. When it comes to buying and selling Real Estate it is very important that you have the utmost faith and belief in the agent you choose to work with. Truth, Integrity, and Enthusiasm together with a desire to do the very best for all their clients are attributes that spring to mind with Ron and Pat. Ron came to Real Estate 17 years ago from an engineering and construction background working his way up to management level. During his time in Real estate he is a consistent high achiever which started in his first year in the industry being awarded Rooky of the year. His wife Pat has recently joined him following 35 years as a Midwife where she worked one on one with clients listening to their needs and exercising her problem solving skills when needed. Her client satisfaction was second to none with a very large proportion of her clients coming back again and again to use her services or recommending her to family and friends. Together they have refurbished and built new houses and been involved in many different renovation projects which have given them experiences in life that sets them well for real estate. Living and working in Omokoroa gives Ron and Pat the local knowledge required to be your local Harcourt’s experts in Omokoroa, Te Puna, Bethlehem as well as all areas of Tauranga. Giving back to the local community gives a sense of belonging and this is the reason Ron joined the local volunteer Fire Service not long after he moved to Omokoroa. This service is something that is invaluable to the whole community and the surrounding area. If knowledge and experience are the power Ron and Pat are the team to talk to. Call us today for any real estate assistance you may require. 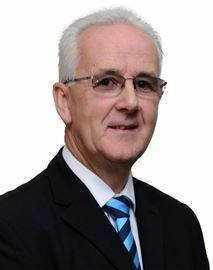 Ross is an experienced and knowledgeable member of Harcourts Advantage Realty Limited in the Tauranga property market. Based in our Bethlehem office and residing in The Lakes Pye’s Pa. This is Tauranga fastest developing and growing suburb and Ross has worked this area (together with Bethlehem) since its inception developing a specialist knowledge of both areas together with outstanding results for both buyers and sellers. 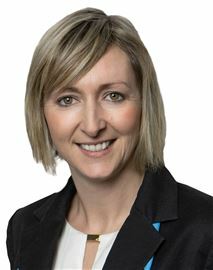 Taranaki born and raised with a background of banking to a Regional Manager level prior to joining real estate with Harcourts in 2011. This background and experience have given him an edge when working and negotiating on your behalf with real estate. This knowledge and experience are sought after frequently by other professionals wanting to establish a property value based on the current market. Ross is Happy to assist whenever the need arises for selling or purchasing a property or if you are desiring to establish a current market value for you home.